The three-year Licentiate in Music (L. Mus.) program is a performance-intensive program designed for instrumentalists and singers who wish to concentrate on their practical subjects while limiting theoretical and general academic requirements. 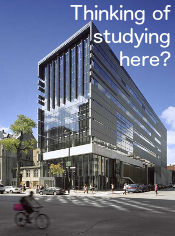 Applicants are eligible to apply from high school, CEGEP or college/university. The performance level expected is above that of a bachelor's degree.